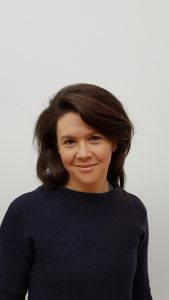 Gemma graduated from the University of Birmingham with a Masters in Physiotherapy and began her career working for a local private practice and the Beaconsfield Rugby team. Gemma then trained as a pilates teacher and taught during her evenings and weekends whilst she worked as a physiotherapist in renowned London teaching hospitals such as the Royal Brompton, University College London Hospital and the Royal Marsden Foundation Trust where she advanced her knowledge in musculoskeletal injuries, rehabilitation and the management of breathing pattern dysfunction. For the winter of 2015/16 Gemma took a break from London to learn more about ski biomechanics, performance and the prevention of ski injuries with the team at Bonne Santé Physiotherapy, Sports Therapy and Massage Clinic, Val d’Isere. She has now come back to London to be based full time at the All Things Pilates Studio. Her interest in injury prevention is what drives her to practice and teach Pilates, and many other forms of strength and conditioning programmes, which she incorporates into her treatment sessions. As a result you can expect to see quite a lot of variation in her exercise prescription and Pilates programmes. Alongside Pilates and physiotherapy Gemma enjoys cooking, running, cycling and skiing which has given her a passion for helping others to stay fit and healthy for the lives they wish to lead. Being involved in sport has not only driven her to advance her knowledge in sport and rehabilitation but also means she has great empathy with those trying to get back to their best. She loves to discuss the pros and cons of various training programmes if you catch her with a free minute.